Tura Beach: Why live in Tura Beach? The older areas of Tura Beach were heavily influenced by the original developer A V Jennings. Much of the Tura area reflects the developers’ style of brick and tile homes. Renovation has begun with first home owners taking advantage of the lower prices – compared to Merimbula – and purchasing the older style homes with a view to renovation and updating. Later land releases in the Dolphin Cove area have proved popular with second and third home owners desiring to build their dream coastal property. 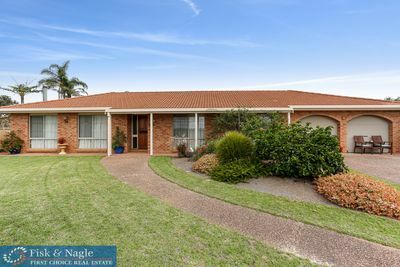 Here, in these areas with outstanding views, you will find large modern homes similar to that gracing the shores of the Sydney coastal suburbs. Vacant blocks remain available for sale, although these are being purchased by savvy investors and home owners. Prices are extremely reasonable and city dwellers have recognised the potential of value priced land with views so close to the beach. Originally serviced by a small community shopping centre, Tura Beach residents in 2010 received a Woolworths shopping complex. This large modern shopping centre is currently home to a Wooloworths Supermarket and Liquor Store, Newsagency, Real Estate Agency, Pharmacy and a Retravision store. Further stores including a bakery are expected to open in the near future. Adjacent to the shopping centre is a Woolworths petrol station. Tura Beach school aged children currently attend the Merimbula state primary school or private schools in Bega or Eden. Secondary colleges are located in Bega and Eden with a private Catholic College in Pambula Beach. A private Anglican primary school is reportedly due to be built in Tura Beach although construction on this has not begun. The Catholic primary school currently located in the Eden community is due to be relocated to the secondary campus in Pambula in 2012. Tura Beach is a short five minute drive from the popular coastal town of Merimbula and a half hour drive from Bega and Eden. Some bus services do operate within the area and full bus services are provided for school aged children. Sydney and Melbourne are an approximate six hour car journey away. Daily flights are available from both cities to the local Merimbula airport. Canberra is an approximate three hour car journey. Interstate bus operators offer bus services to Sydney, Melbourne and Canberra. The Tura Beach Country Club offers restaurant dining most nights and is suitable for families. The local tavern also offers reasonably priced meals and is also family friendly, although a child minding room is available. There are limited take away options in Tura Beach however many Merimbula fast food options do home delivery to Tura. For those with a penchant toward great coffee, Merimbula offers a great selection of cafes and restaurants with a wide international diversity. Tura Beach is a long stretch of golden sand that just invites long walks by the ocean with or without the family dog. Beach fitness is offered by a number of local fitness enthusiasts for those seeking an activity a little more energetic. Promoting itself as the Golf Course with the million dollar views, Tura Beach Country Club is set on a coastal hill within natural shrubland. It is home to both men’s and ladies’ golf clubs, men’s and ladies’ bowling clubs and the Tura Beach Tennis Club. The championship golf course progresses through contrasting landscapes, from coastal holes by the Tasman Sea, manicured fairways through native bushland to water hazards tucked where you would least expect them. Bournda National Park is a 2,600 ha protected area established on 24 April 1992 and is managed by NSW National Parks and Wildlife Service. The craggy headland is viewable from many areas in Tura Beach. This area is rich in local Aboriginal history with an area close to lagoon recognised of special significance to Aboriginal women. A relative newcomber to the South Coast area, Tura Beach is a purpose-built community with a 72 par 6018-metre coastal golf-course designed by Michael Wolveridge and five times British Open winner Peter Thomson as the centrepiece. 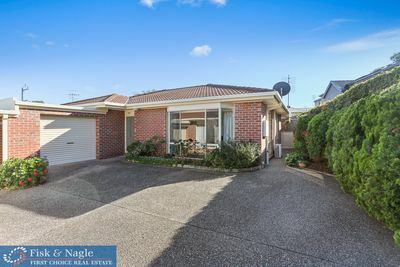 This housing estate began in the late seventies, early eighties and has established itself as a solid real estate contender to Merimbula, offering home owners affordable modern style homes with outstanding views. Tura Beach is located five kilometres north of Merimbula and adjacent to the magnificent Bournda National Park, an area rich in local Aboriginal history. So if you are looking for Bournda & Wallagoot Real Estate, why not talk to one of our sales team at Fisk and Nagle.